Please enjoy our Bartender Video Series below which features National Bartenders Bartending School graduates who share their thoughts and experiences about Bartending School, Life Behind the Bar, Bad Tippers and much more. We’ll be adding new interview videos on a semi-regular basis. Cheers! 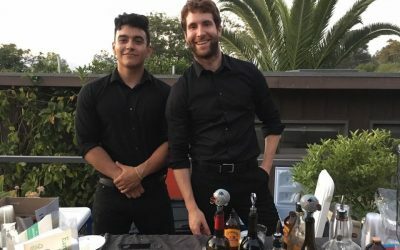 The ONLY bartender school that guarantees jobs in the bartending field.